Join us for Story Time on Wednesday, May 9 and Saturday, May 12 when the story will be about…well can you guess what the story will be about? Wednesday Story Time starts at 9:30 and the Saturday Story Time will be at 11:30. 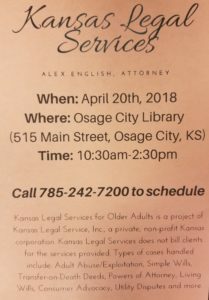 Alex English, an attorney from Kansas Legal Services will be at the library on Friday, April 20 from 10:30-2:30 to help older adults with legal services, such as Simple Wills, Powers of Attorney, Living Wills, Adult Abuse/Exploitation and more. 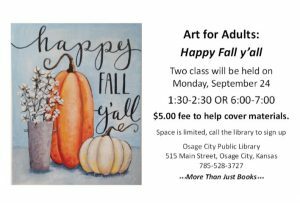 If you are interested, you need to call 785-242-7200 to schedule an appointment. 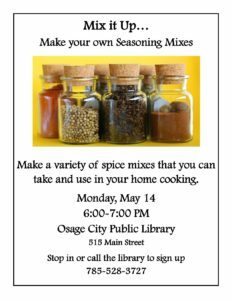 Tomorrow, Wednesday, March 21 is full of opportunities to use the library. 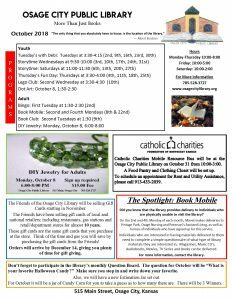 The Food and Clothing Closet from Catholic Charities will be here from 10:00-3:00.